For example user wants to test email ID field and last name field with different sets of user-defined data, which has to be picked randomly then, Data-Driven-test will not work as you will have to set data for all the fields in your test case and it executes randomly. Random application variables can be used. How to upload Random Data to a step using application variables? 1. Navigate to Settings and click on variables. 2. Upload random variables data in a CSV file. (Each column is treated as dataset where the header is the variable name). 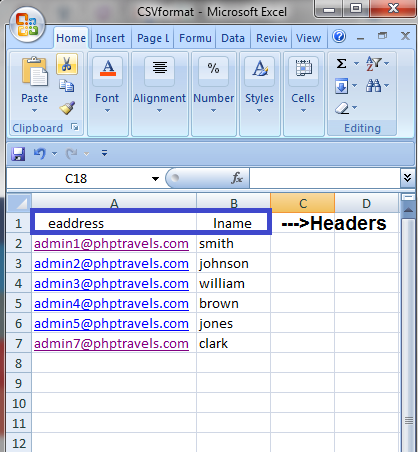 In CSV file, declare values in column format where header is the application variable name. Below is the format. 3. Go to Edit Steps of the test case, Navigate to the step type in the test case whose application variables are declared in the CSV file. 4. Clear the value and type __application variable name__("__"Double underscore) as provided in CSV file and save the test case.